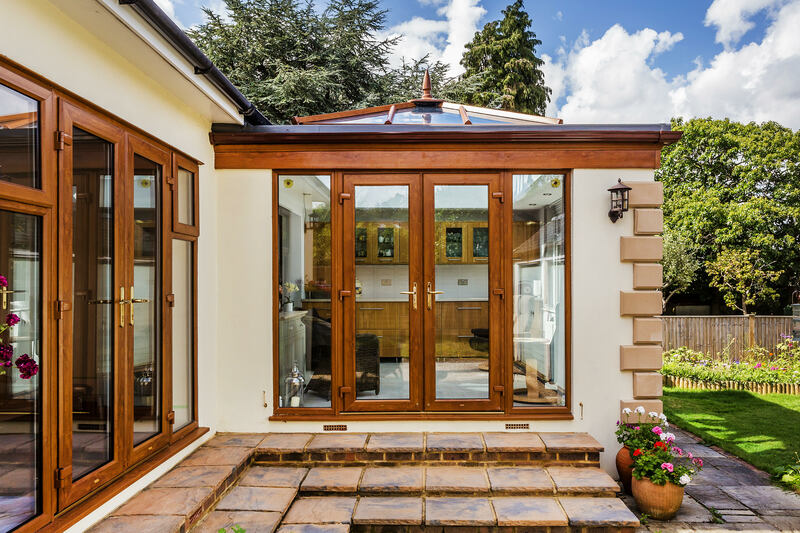 The finished design of our orangery extension – as you’ll be able to tell from the photos – looked traditional and welcoming. The room we created looked like a natural extension of the main property. We were delighted with the high specification of the build including the glazing and roofing lines that were selected as part of the design. Mr and Mrs Bayley approached Castle because they were interested in extending their Epsom property. Limited space was available for the build and the structure itself needed to blend in seamlessly with the rest of the property to ensure design continuity. Castle Conservatories managed every aspect of the house extension build. 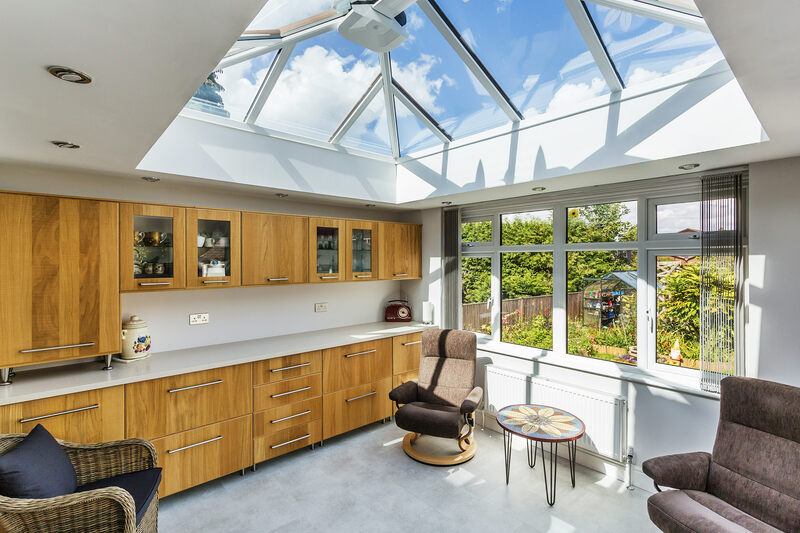 We helped Mr & Mrs Bayley to choose the right layout for their room – as well as advising them on the most suitable doors, windows and roof system for their project. The finished design – as you’ll be able to tell from the photos – looked traditional and welcoming. The room we created looked like a natural extension of the main property. 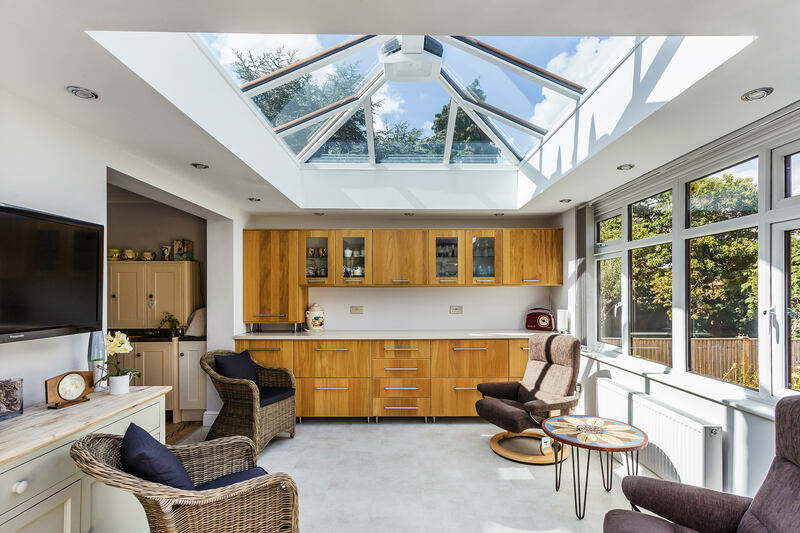 Mr & Mrs Bayley were delighted with the high specification of the build including the glazing and roofing lines that were selected as part of the design. Our project management approach to helping our customers means we can act as a single point of contact throughout. We consulted closely with Mr & Mrs Bayley to ensure that the finished design looked and performed as they’d originally expected it to. With limited room available, we wanted Mr & Mrs Bayley to enjoy the benefits of a room that felt bright and spacious. The extended kitchen area we built is square, which means that no spare inch is wasted. The French doors included as part of the design frame the garden and provide great access. They provide clear views of the outdoors, while also protecting the Bayley’s privacy at the same time. Overall, we succeeded at creating a unique and stylish extension, connecting the home to the garden and also worked as a room in its own right. Why not use our VR tool to explore your design ideas today. The extension that we built could quite easily have felt enclosed if insufficient light was delivered through the doors and windows. Our intelligent and carefully planned design prevented this from happening. We recommended installing a lantern-style roof to focus light into the extension below it. Constructed with fewer bars it allows sunshine to stream freely through the glass. 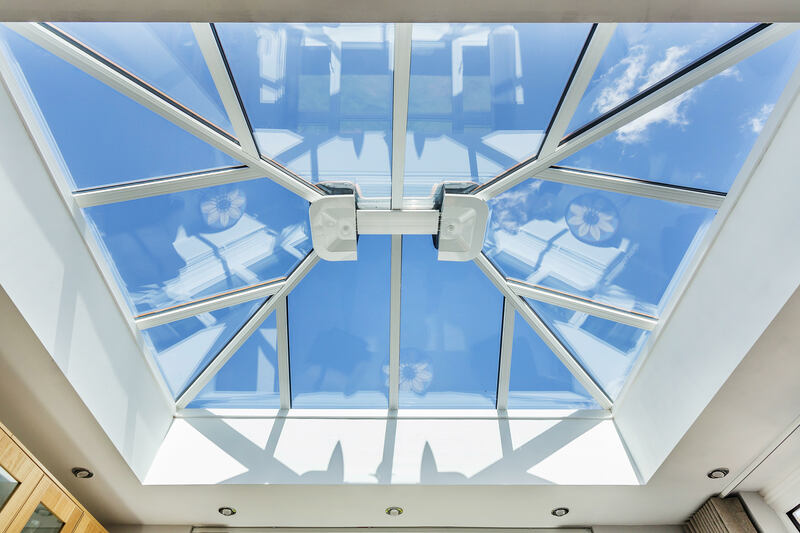 Because we used high-performance glass in the roof lantern, UV ray penetration was reduced. At the same time, the glazing also stopped warm air escaping. Mr and Mrs Bayley can now enjoy a space designed for 24/7 living. The extension also benefited from illumination delivered through strategically positioned windows. The double glazing lets in lots of sunshine but also stops people from looking directly into the room. 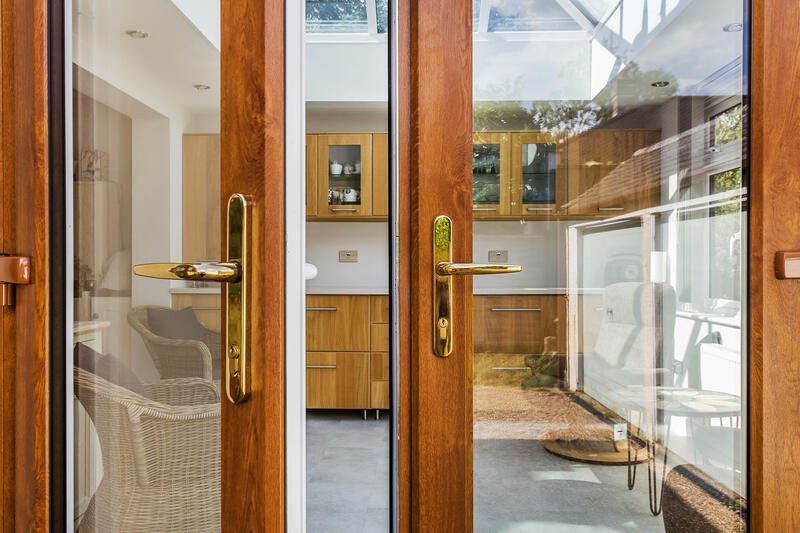 Additional light is permitted through the exterior French doors, which frame the outside space and introduce people to the garden via a short sequence of steps. This space is both connected and private at the same time. 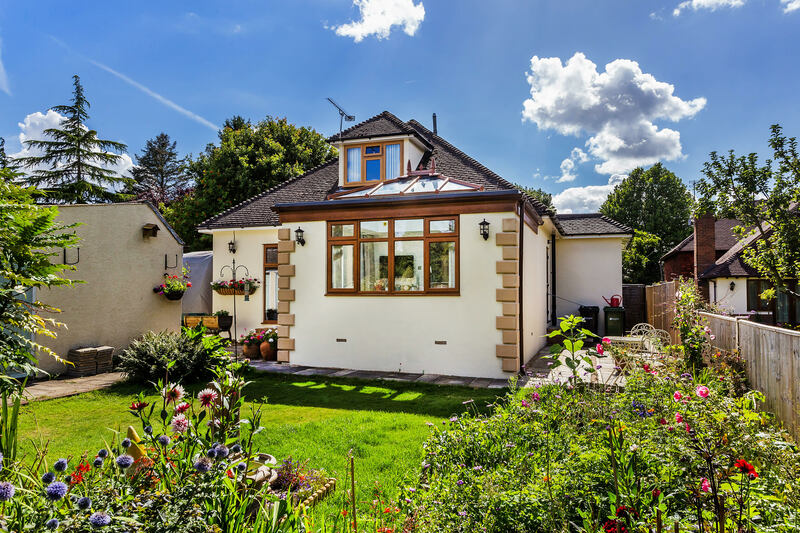 To make sure the extension matched the external appearance of Mr & Mrs Bayley’s home, we chose window frames that copied the style of their existing double glazing. You can also see how well the external plastering used copies that of the main property. The extension blends in with the architecture behind it and adds to the overall market appeal of the Bayley’s home. Even the bricks we used to create a staggered decorative effect externally tie-in with the colour of the steps that lead to the garden. The overall use of light and earthy colours helps to create the desired traditional appearance. Internally, colour has been used just as successfully. The brighter tones help to capture light and bounce it around the room to create a sense of space. This means the extension feels brighter all year long. 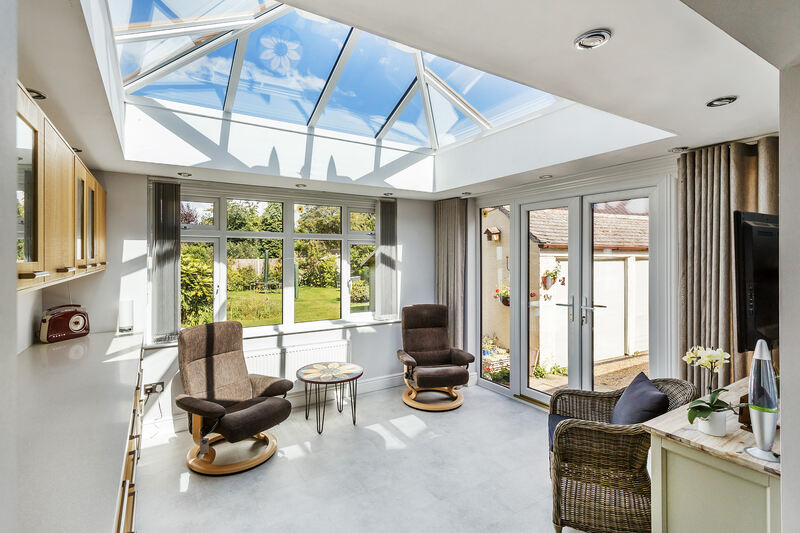 We will create an orangery, conservatory or extension that reflects the architectural strengths of your home. 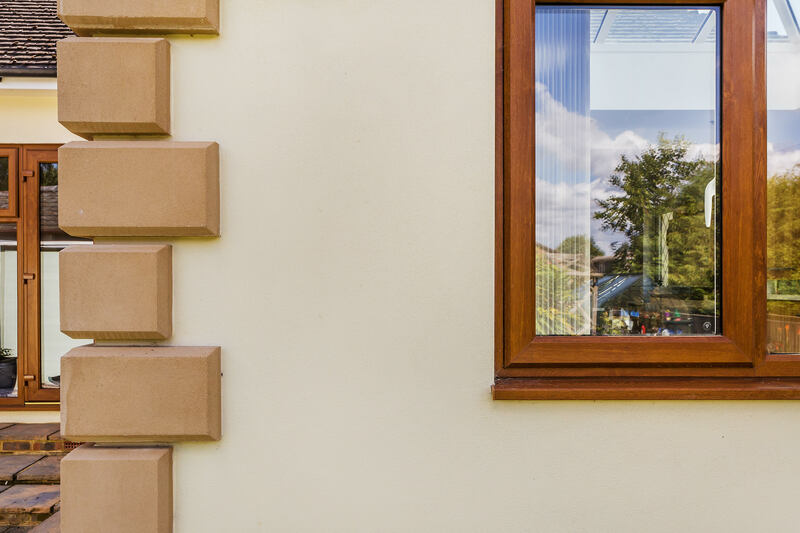 Our experienced team will handle all aspects of the build for you too – including building the foundations and any other building or landscaping work needed to make the project successful. For inspiration, visit our brand new Virtual Tour app. 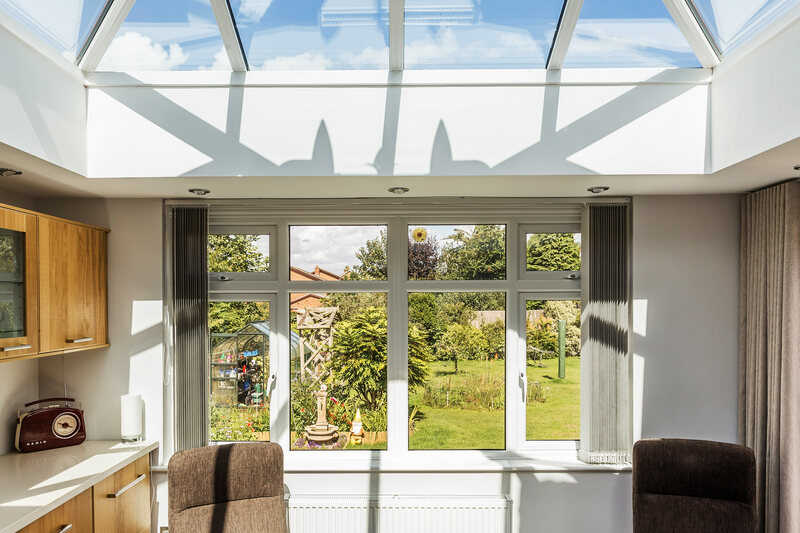 Look around our Ultraframe rooms without leaving your home and use our free house extension cost calculator to plan your own ideas. Call or email us if you have any questions or would like to make an appointment for us to visit.